Hurting feet need real relief to step up. This is that relief. Adamia Therapeutic repair foot cream with promega-7. 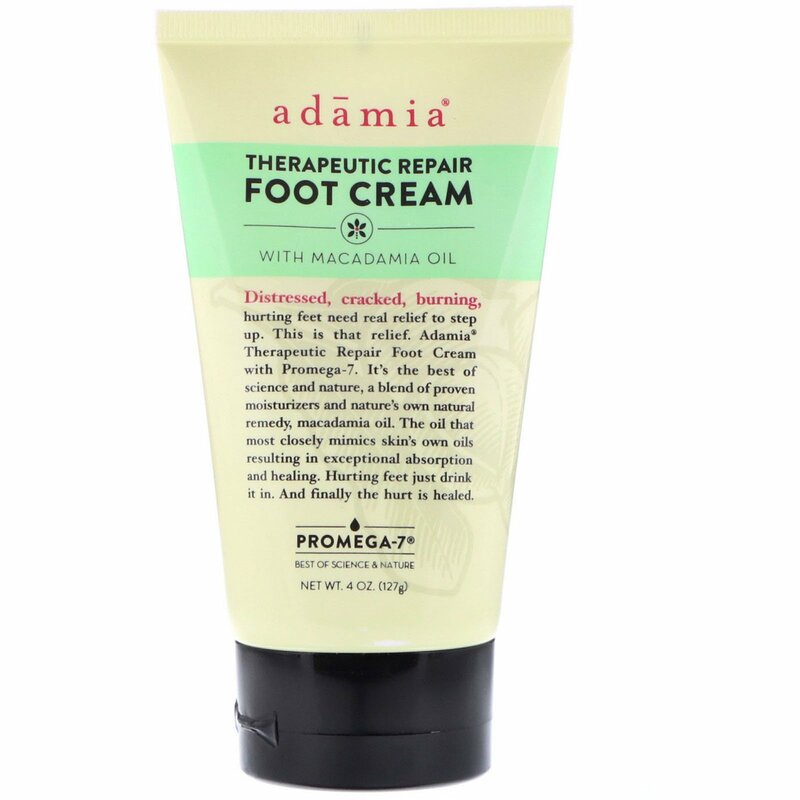 Its the best of science and nature, a blend of proven moisturizers and nature's own natural remedy, macadamia oil. The oil that most closely mimics skin's own oils resulting in exceptional absorption and healing. Hurting feet just drink it in. And finally the hurting is healed. Liberally apply to distressed feet and ankles. For best results use twice daily. For external use only. Avoid contact with eyes.